Every little bit helps! Our efforts would not be possible without the donations of time, resources, supplies and money that come from people like you who are reading this now. Your donations help save lives. As we are a fully accredited 501(c)(3) all of your donations are also tax deductible! 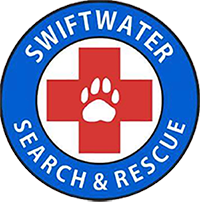 100% of each dollar donated goes directly to search and rescue efforts/equipment or disaster relief supplies. We then provide these services and supplies directly to those on the front lines who have been most immediately affected by the disaster at hand. We designed this organization so that we would have no middle men, no administrative costs, no salaries and no overhead. We are doing this all on our own personal time, using our personal property and vehicles and have paid for all of the startup costs out of our own pockets. As a result we are able to have the very unique opportunity to be able to apply every dollar that comes in to help those in need. At this time our organization is in start-up phase. Our focus is on acquiring mission specific search and rescue equipment to create a field kit which we can have ready to deploy whenever disaster strikes in the region. Therefore, financial contributions are what we need most. 100% of each dollar donated will go directly to life saving equipment and all purchases/expenses will be made public so you can track where your dollars are going. If you would be more comfortable purchasing specific gear/equipment items as opposed to sending money then please contact us for details on current needs. Some of our equipment needs are listed below. We remain tremendously grateful to and humbled by all of our donors. This entire effort would not be possible without all of your support. Thank you from the bottom of our hearts!